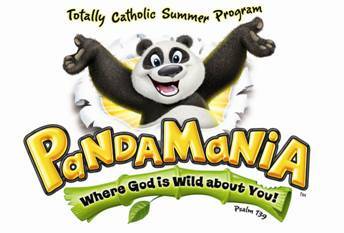 Vacation Bible School is held the last full week of June each year. In 2010 we had 300 kids and 85 youth and adult volunteers participate! If you are interested in volunteering for VBS in 2011 please contact the RE Office at 251-9842, you may register on line or complete the registration form located on the right. Learning about the Saint of the Day during Snack Shack. Bringing the plagues upon Pharoah in Bible Bayou! Fr. James and one of 24 Crews. Praise and Worship in the Firefly Finale! A crew at Crawfish Crafts. Rocky's Preschool helping teach the motions! Offering canned food donations at the VBS Closing Mass on Friday.